Looking for relief form rising paper storage and retrieval expenses. Want to reduce the cost and time spent with manual entry. 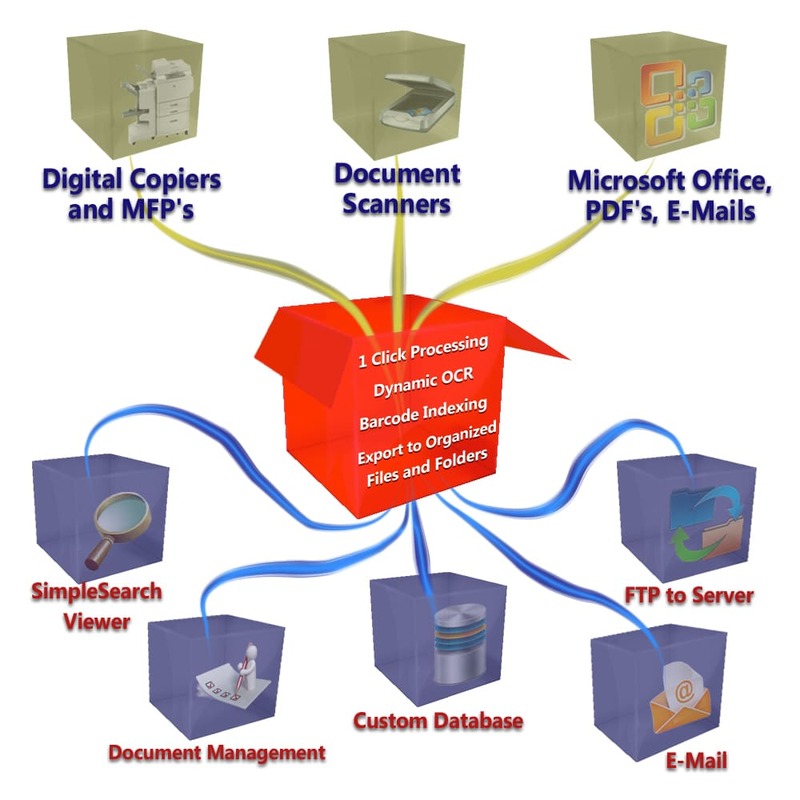 Can no longer tolerate the slow speed of manually accessing paper files. Have data that arrives from multiple forms and formats. Receive business critical information to and from multiple locations. SimpleCoversheet - Create Barcode coversheets that SimpleIndex will read and use to index the images. For Terms and Conditions of technical support and upgrades, click here.